A dangerous driver who led police on a late-night chase through farmland and country roads has been jailed for five months. Richard Tierney, 24, of Sherburn, near Malton, claimed his car had been stolen before the chase, in which he drove on the wrong side of roads and without his lights on. Nicholas Barker, prosecuting, told York Crown Court police saw Tierney’s Vauxhall Corsa braking sharply as it drove in the direction of Sherburn at 1.45am on March 13. Officers switched on their vehicles’ blue lights and followed Tierney, who avoided them along single-track roads and switched off his headlights several times to try to lose them. During the chase, the court heard Tierney was speeding and twice entered junctions of the A170 on the wrong side of the carriageway before he drove across a field at a nearby farm. Officers pulled alongside him and saw his face before he drove into a ploughed field. The police vehicle could not follow. A search of the area was carried out and officers found no damage to the abandoned Corsa and no keys in the ignition. Inquiries were made at Tierney’s home to no avail, and he later reported the vehicle stolen. Three days later, he entered Malton police station to retrieve his car but one of the officers from the pursuit recognised Tierney as the driver and he was arrested. Tierney pleaded guilty to dangerous driving and perverting the course of justice. 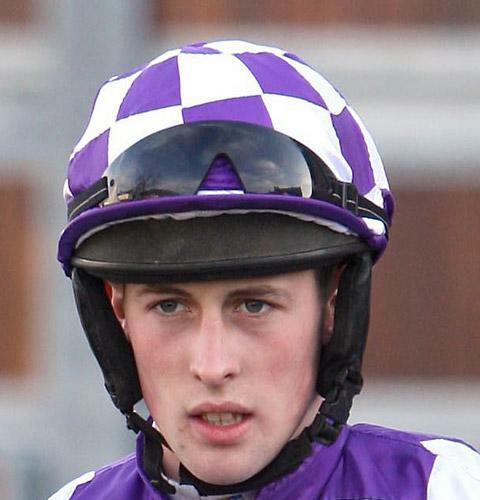 In 2010, Tierney, then said to be working as a jockey, crashed his car into a passenger train on a level crossing at West Knapton, causing £150,000 of damage, but was fined £350 and escaped a driving ban. Judge Roger Ibbotson told Tierney “the results could have been catastrophic”, if he had crashed during the chase earlier this year. Tierney was jailed for two months for dangerous driving, and three months for perverting the course of justice, to be served consecutively. He was also disqualified from driving for 12 months.